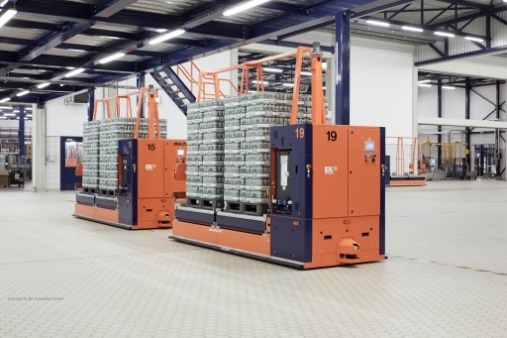 An Automated Guided Vehicle System from EK Automation can save you time and cost, optimise your internal transport processes and cut out in-transit damage. With 10 per cent market share, EK is a leading European supplier of complete Intra Mobility Solutions. We support internal logistic processes for numerous companies all over the world. 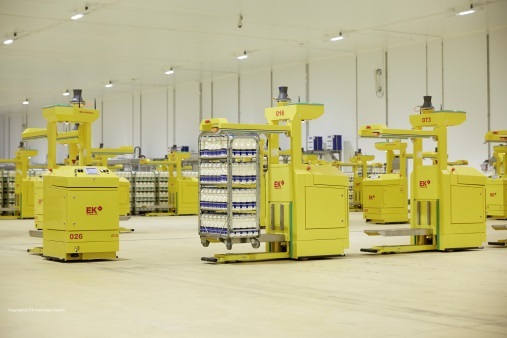 In business for more than 50 years and with around 1,000 AGV systems and 9,000 vehicles installed worldwide, there is plenty of evidence of our experience and expertise. EK Automation offers solutions with both our own bespoke vehicles and with cost-effective industry standard vehicles from renowned manufacturers. The solutions are designed for long-term use as well as easy expansion and modernisation. Unsure if AGV’s are right for you; we offer an in-house simulation service too. 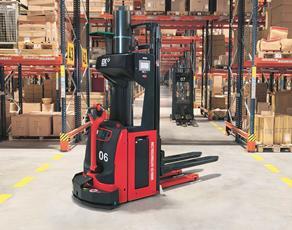 AGV’s, material handling systems and process automation are our three core business areas. Lift heights up to 12 metres, load capacities up to 35 tonnes, indoor and outdoor applications are amongst our capabilities. EK Automation supports its customers from system design through delivery and commissioning to maintaining and upgrading the plant for many years afterwards.